Harrogate Borough Council have agreed to grant the town's popular Christmas Market a three-year license following recommendations made in an independent, council-commissioned review. During a meeting of the cabinet on Wednesday, September 21, members agreed that the Harrogate Christmas Market deserved the "long term commitment" of the council. A report, undertaken by Malcolm Veigas Consultancy, was commissioned by the council after it raised concerns over the market's size and it being run by volunteers. The report recommended that Yorkshire Business Market, who run the event, adopt a series of actions intended to professionalise "the delivery and evaluation" of the event. Brian Dunsby, director of Harrogate Christmas Market, confirmed that these plans were now in place and, as a result, a three-year licence has been issued for the event. During the meeting, Coun Michael Harrison, cabinet member for Environment, Waste Reduction, Recycling, stressed the importance of holding such events in Harrogate. He said: "There are parallels with this event and other events that Harrogate is looking at holding in the future. While these other major events are huge, the smaller ones do have a place here. "Whether they are ad hoc, small or huge events, it is easy to recognise the benefit to the area of having them in the district. "But, at the same time we have to balance the longer term aims of the area with the impact of hosting these events on residents, not all of whom want to see them in town. "This report recognises the event's benefit to the area and the success of it up until now as well as the importance of putting it on a sound footing with the council." As well as concerns over the size and reliance on volunteers, the council also raised issues over the lack of document processes and clearly defined job roles. There were also concerns that in allowing YBM to use the Stray for this event, the council were compromising their position due to the criteria in the Stray Act 1985. However, the report concluded that the Stray was the "best location" for events and Mr Dunsby confirmed they had complied with writing event, transport and evacuation plans. 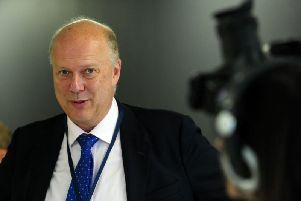 He said: “We’re really pleased that the cabinet has agreed to give us a three-year licence. “Our volunteers put a lot of time and effort into the Christmas Market and our Traders and Visitors really appreciate their enthusiasm and hard work. This year's Harrogate Christmas Market will run from Thursday November 17 to Sunday November 20 with all stalls selling out in record time. Almost 60,000 visitors attended last year's events and, as a result, Virgin Trains East Coast have confirmed they will be operating more services to Harrogate over the weekend. Mr Dunsby said this year's event will see an adjusted layout to create more space in the aisles with profits raised going to local organisations and events promoting tourism across the district.